Based on 120 customer ratings. 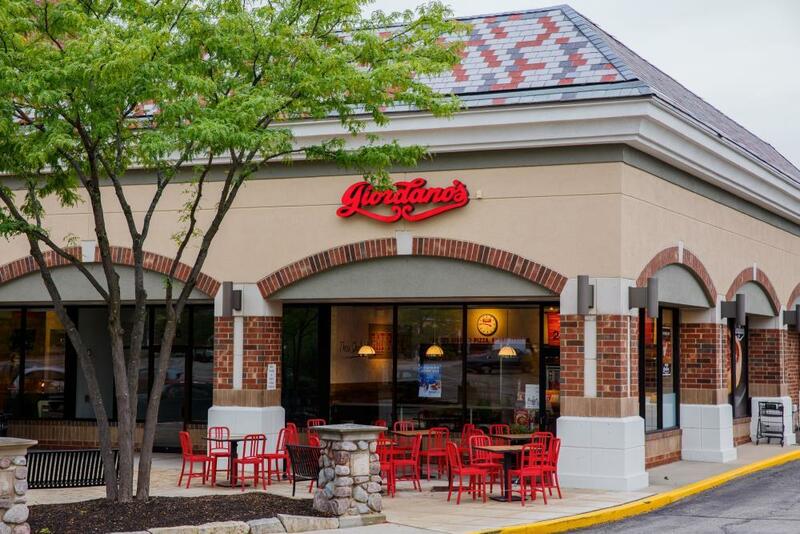 When you want the best pizza delivery without having to go all the way to Chicago, look no further than Giordano’s of Glenview. Order online or by phone for delivery or pickup — it’s your choice! Who doesn’t love a thick, aromatic slice of Chicago-style pizza? At Giordano’s, our pizza artisans have constructed the best Chicago-style pizza in the Glenview region for more than 40 years! We’re more than the best pizza place in town — we’re a not-to-be-missed experience that effortlessly blends old world craftsmanship with today’s taste for fresh ingredients. When you order from Giordano’s, you’ll taste the savory flavors of our proud heritage in every mouth-watering bite. The Ripest Tomatoes. Mozzarella Made Just for Us. The Flakiest Crust. That’s Giordano’s! At Giordano’s, our favorite recipe is 6 pizza artisans + incredible technique = 1 tasty, stuffed, double-crusted pie! Our trained pizza makers build every pizza using our distinctive slow-bake technique that yields the flakiest, pie-like crust. We layer the most flavorful vegetables and freshest meats alongside mozzarella made exclusive for us on a small Wisconsin farm. Why get a so-so pizza elsewhere when you could get a spectacular pie made fresh with the finest technique and the best ingredients at Giordano’s? Don’t forget to check out our full menu of pastas, sandwiches and salads, too — they’re perfect when you want to order pizza-and. Have a gluten dietary restriction? Ask us about our gluten-free options and enjoy the taste of Giordano’s with ease!